Please see the Motion brought forward. I rise to speak to this motion. the current governance model we operate under – gives citizens the power to select the person they want to represent them make decisions on their behalf at City Hall. good or bad – it is the model we’ve been operating under for almost 20 years. And I want to be clear – I am speaking to this issue here today as their representative – not as Janice Lukes, a private resident, but as Councillor Janice Lukes, representative of the South Winnipeg – St Norbert ward. 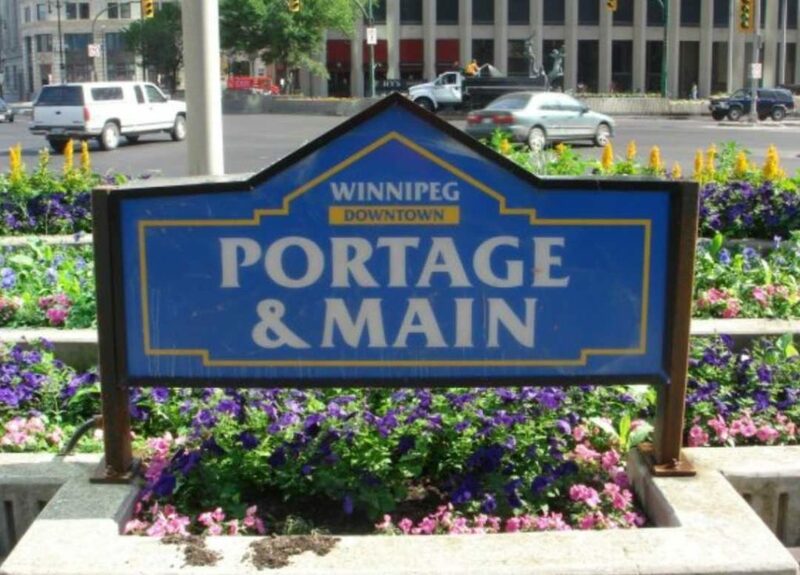 I represent a vast growing suburb – of citizens who are new to Canada – citizens who’ve lived in Winnipeg a long, long time – and many who commute to work downtown and pass through Portage and Main. I represent the largest and the fastest growing ward in the City of Winnipeg and I am very active in the ward – I am very accessible to the citizens, attending events every week – talking to people – hearing issues, opportunities and ideas. And you know Mme. Speaker – everyone in the ward wants to see Winnipeg be a growing, thriving, more modern city to live, work and play and raise their families in – without a doubt . and I recognize – like Mr. Grande stated – that there are many, many aspects required in revitalizing a downtown. Not just one – but many many – and yes – revitalizing Portage and Main would surely be one of many. Has this occurred over the past four years on the Portage and Main file? Has the Mayor – worked hard on his campaign commitment – and used the office of public engagement to reach out to the public in any way whatsoever for meaningful conversation? No formalized consultation process – no reaching out – no engagement at all – no listening to concerns – in any way whatsoever with the public. And do you know Mme.Speaker what’s even more important in the Public Consultation process ? There has been none – zero – absolutely no presentation – and no urban education done on this file. So when a new idea is presented – and it represents tremendous change – a change to something new – and when no meaningful data and conversations occur to support this change – other conversations rise up. Conversations that say – Why change? Why? And any public relations expert will tell you – once people reach a certain point in their decision making process – or understanding of a project – often only the passing of time allows the vision to rise up again and be logically discussed again. Having worked in the field of active transportation for 15+ years – I am well aware of the polarizing issues that can surface regarding cyclists and pedestrians – and am quite surprised the Office of Public Engagement – and the Mayor and his advisors were not more savvy in how they approached the communication around this polarizing issue. And probably the most shocking part of this handling of this file – is that none of the recommendations set out in the 2011 Audit which focused on Active Transportation Public Communications – were adhered to in any of the Portage and Main discussions. and the need to educate urbanites on suburban issues at the same time. Matter of fact – if I am elected for another term I will commit to having a series of urban meets suburban discussions. And to listen to those concerns and address their issues and educate why this aspect of revitalizing downtown is an important part of the bigger picture. one would think the leader – the Mayor – would have reached out to the representative of the largest suburban ward in the City of Winnipeg – to me – someone who is a passionate active transportation advocate, to gather feedback / insight – thoughts on what citizens are thinking and what their concerns are. But not one request. Not one. And that style of leadership is the key contributing factor as to why we are here today. Because the suburban residents will speak – without any ‘urbanist’ or ‘downtown city building’ education and understanding – and they will speak from their perspective – of passing through. And this is all a result of very, very disappointing leadership & advice on this file.